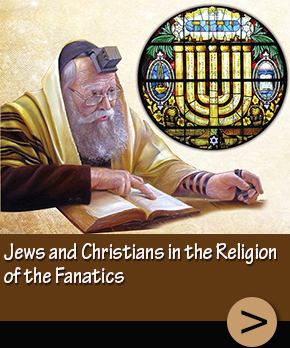 The fanatics’ problem is that they learn their faith from specious superstition. However, those who criticize those fanatics are sometimes just as radical as them and believe in the accuracy of that same superstition. The more we produce evidence from the Qur’an, the more they try to produce their own from the superstition the fanatics subscribe to. That is where they make their gravest mistake. 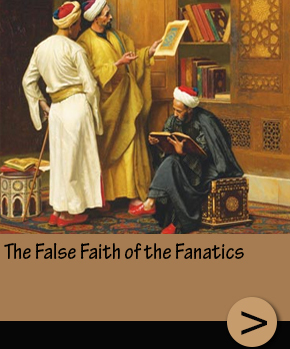 If they want to know the true Islam and find a solution to fanaticism, they must heed the true faith described here. Unless they do that, radicalism will continue to plague the world. 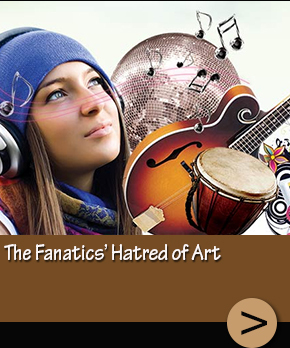 In recent times in particular, this fanaticism has largely wound up being equated with Islam. Indeed, certain groups call this religion of fanaticism Islam and they have turned their fears of fanaticism toward Islam, so much so that Islam, an Abrahamic faith, has come to stand for “fear.” Islamophobia is talked about all over the world. People are unaware that their fears stem, not from Islam, but from fanaticism. They fail to see that the fanatical faith produced by peddlers of superstition has appeared in the name of Islam; nobody has ever told them that this is not Islam. Neither the radicals who emerge in the name of Islam nor the Islamophobes who fear those radicals have been shown that Islam has nothing to do with this fanatical, terrifying, loveless and hate-filled faith. 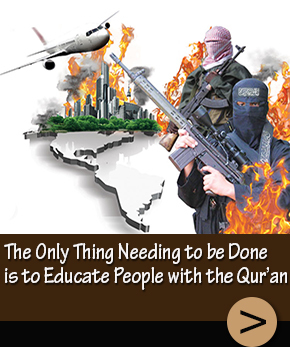 The radicals of Islam have begun harming the entire world, but Muslims most of all. God created religion as very easy and gave believers utmost freedom. But the bigots claim that religion should not be like this that there should be many bans and difficulties, “that is why we should make some additions,” they say. That is the plot of the satan. Satan, that is the movement of the dajjal, wants to make religion a deadlock, it wants to make it complicated and inextricable so that no one would be able to live by. The system of the dajjal tries to stop those who sincerely want to live by the true religion, who want to preach the true religion. But no matter what the followers of the dajjal do they would be striving in vain. The right and the true will always be victorious. One other good aspect of our activities is that we have an understanding that conciliates the conservative part of the society with the secular part. There is a lack of communication between these two parts that is being used by those who want to dissociate the society. Many examples of these have been experienced in the past. Our activities are of crucial importance to avoid experiencing similar incidents again. Both parts are the children of this country, both sides are valuable. When there is a rigid understanding, it would not be possible for the conservative part to reach people who live by the shores, to the secular ones. Both sides continue their lives among themselves. By explaining the fact that the Qur’an brings democracy, secularity and freedom, we remove the prejudices of both parties. But it seems as though some bigots are determined to divide society, so we are trying to correct this. We will insha’Allah live together as brothers with love. Iranian are immaculately pure, honest and trustworthy people. Iranians are very dear friends of ours, we will always love them and will always support them. There is a bigoted section in Iran, just as there is in Turkey. Yet this is not valid for the all Iranians, only a small section. To struggle against bigotry, intellectual and progressive statesmen should form an alliance. With love and compassion, we can stop this by putting an end to Darwinist-materialist education with rational evidence. Iran and Turkey are friends no one can change this. Youngsters want to be free. The children of the families that are known to be conservative want to live vivaciously, comfortably and free as well. That request for freedom is in compliance with the Qur’an. The number of people who have a bigoted mindset is very few in Turkey yet they imagine themselves as a relentless force. Youngsters want to be free. The children of the families that are known to be conservative want to live vivaciously, comfortably and free as well. That request for freedom is in compliance with the Qur’an. God is the One Who wants His servants to live free. The number of people who have a bigoted mindset is very few in Turkey but they imagine themselves as a relentless force. In fact their impact is very weak. They present the smallest spec of sand they find on the floor, as the Mount Everest, mocking the intelligence of our public, so to speak. The idea that “We can only understand the Qur’an through the hadiths” has wrought enormous harm on the Islamic world because some Muslims thinking along those lines began to fabricate hadiths in the name of the faith. They even eventually abandoned the Qur’an altogether, taking those hadiths alone as the source of their religion. This site responds to the claims made by certain Western opponents of Islam who have actually come to prominence through their criticism of radicalism, and to the terrifying way of thinking of the fanatics. 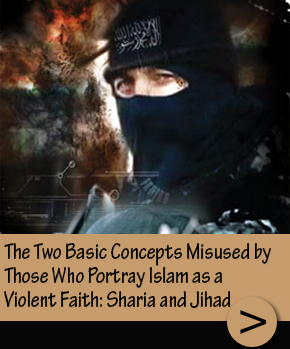 It reveals, with examples from the Qur’an, the invalidity of the claims made in various sources of the false, fanatical religion which they are trying to make part of Islam. The particular reason for producing a work responding to these claims is that all the criticisms made of Islam take similar directions and that people confuse the religion of radicalism with the true Islam. The objective, therefore, is to provide those people who are wrongly acquainted with the true Islam due to the groundless accusations made against it, with evidence from the Qur’an rebutting those claims. The Sharia of the Qur’an means love, respect, and affection and protection toward people of all faiths and opinions. The Sharia of the Qur’an insists on democracy, and freedom of ideas prevails. Under the Sharia of the Qur’an, people are knowledgeable, educated, open-minded, respectful of other ideas, happy, outward-looking, modern, high quality, optimistic, value art and science and value love and friendship.